Plush dolls can be removed as individual toys. Soft handle.Fun for baby to touch and easy to hold. 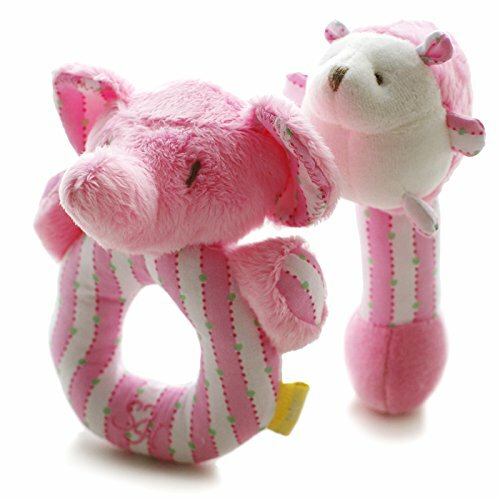 WONDERFUL BABY GIFT This is a great New Baby Gifts and Baby Shower Gifts. RECOMMENDED AGES: 0 - 2 Years. This is a cute pink color Toy which is suitable as a Newborn Toys,Infant Toys,Baby Toys 0-3 months,Baby Toys 3-6 months,Baby Toys 6-12 months,Baby toddler Toys,baby Toys 1 year. If you have any questions about this product by SHILOH, contact us by completing and submitting the form below. If you are looking for a specif part number, please include it with your message.